You are currently browsing the tag archive for the ‘Chairs’ tag. When shopping for a new sofa or chair, the quality is on the inside. Don’t be misled by cost cutting imitations that do little more than diminish the comfort and durability of your new furniture. Don’t be fooled…in the not so distant long run your back and wallet will pay for the corners cut on buying a piece of furniture not constructed to the highest quality standards. 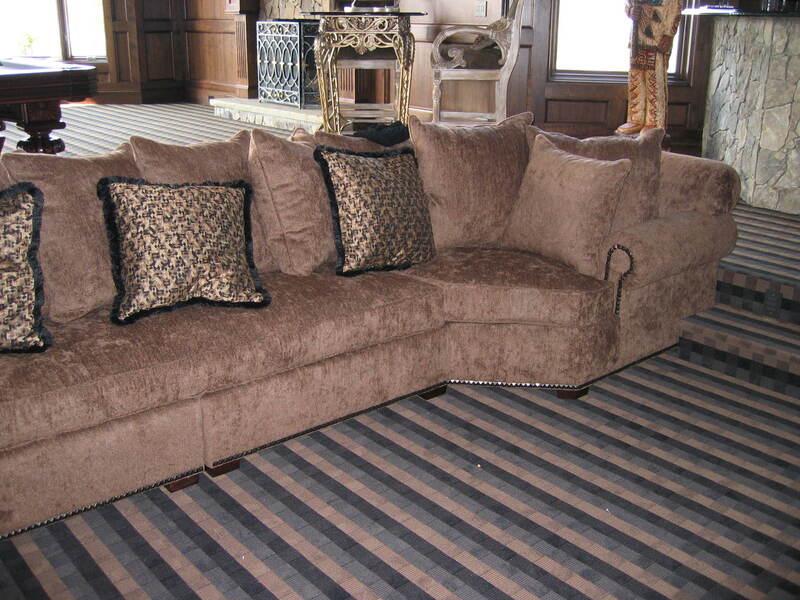 Distinctive Fabrics & Furniture is committed to delivering outstanding quality custom upholstery at an exceptional value. 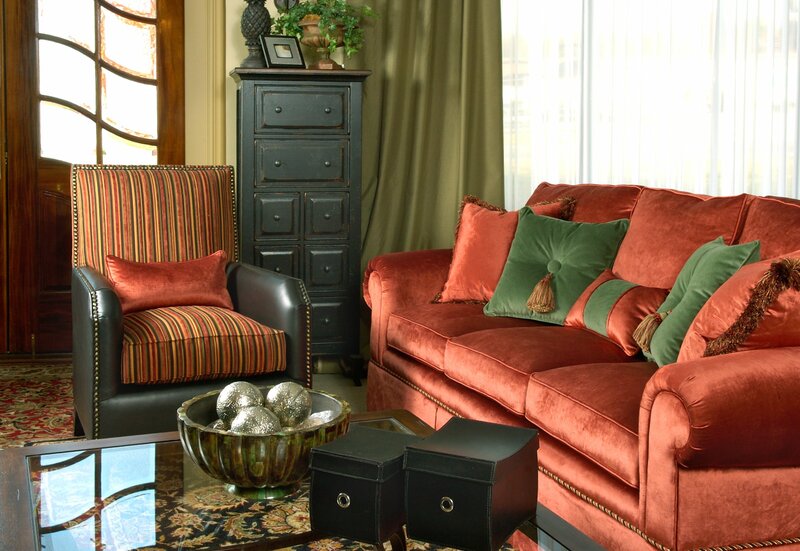 With over forty-five years of experience, we manufacture the custom upholstered furniture sold in our retail stores. By managing the entire manufacturing process and eliminating the middleman markup each piece of furniture we produce is unmatched in craftsmanship and affordability. A quality piece of furniture, should last a lifetime. However, the most important aspects of quality are on the inside. Each piece of custom upholstered furniture produced by Distinctive Fabrics and Furniture is constructed to the highest quality standards by skilled craftsman in our North Carolina plants. Most important of those quality standards is the use of kiln, dried hardwoods and an eight-way hand-tied seating system. When you’re buying new furniture, do not settle for anything less. Always make sure your new sofa or chair is constructed with a solid wood frame consisting of five quarter or thicker, kiln dried hardwood for strength, durability and resistance to warping. And most importantly, make sure you purchase nothing but a piece of furniture containing an eight-way hand-tied seating system consisting of double, coil springs fastened directly to the hardwood frame. There are many imitations, pre-manufactured eight-way hand-tied systems on the market but none of them provide the superior seating comfort and durability of the traditional hand-tied approach from our skilled craftsman. Each piece of furniture manufactured by Distinctive Fabrics & Furniture is designed and custom built for your comfort, enjoyment and personal taste. We encourage you to compare both our quality and our price. We are confident you will not find a higher quality piece of furniture at a comparable price. And with our re-upholstery services allowing you to periodically update the look of your furniture with a new fabric, your new furniture should last a lifetime. Cornelius, NC. For more information call us at 704-895-6275. Or email to randrews@efabricsandfurniture.com. You may also find us at www.distinctivefabricsandfurniture.com and on Facebook.